Welcome, login or contact us to get an account setup. *scope and bi-pod not included* Top Tech/ G.. The G&G GK5C GL Modelled after the AK .. The G&G combat machine is a high quality, a..
Susat Scope not Included: Top Tech/ GT Adva..
Top Tech/ GT Advanced Series- Non Blowback ..
Top Tech/ GT Advanced Series- Blowback Over.. The Combat Machine lineup from G&G represen..
A mini red-dot sight with a sight riser included by AIM sports. A machined aluminium body p.. 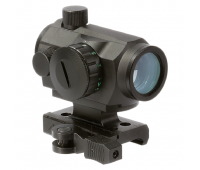 The perfect accessory for shooters that prefer a higher sitting optic. This rail segment boosts u.. 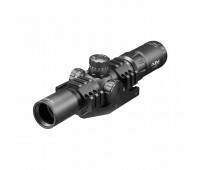 The Recon Series 1.5x4x30mm optic combines a sleek design and multi-rail cantilever mount. Equipp.. 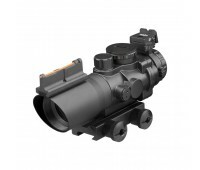 The Aim sports tri-illumination ACOG-style sight is a perfect mid-distance optic. Three illuminat..
G&G armament is widely accepted as an industry leader in the airsoft community. Offerring an extensive lineup of airsoft guns, G&G has something for everyone. Whether you are looking for a starter gun, or a high-end performer, G&G has what you need. The GT advanced line of AEG's by G&G features the renowned Top Tech models. 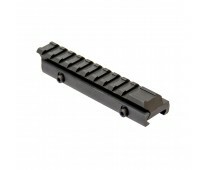 Top Tech represents the highest quality of AEG offered by G&G. All Top Tech guns feature high-torque motors, 6.03mm tightbore barrels, pneumatic blowback gearboxes and silver wiring. The intermediate/GC line of AEGs by G&G feature the solid GC lineup of full metal guns, as well as the popular combat machine lineup of starter guns. These guns offer new players an affordable option to get high quality G&G AEGs at an affordable price.